Hi friends! Did you know that it’s National Rum Day! Woohoo! 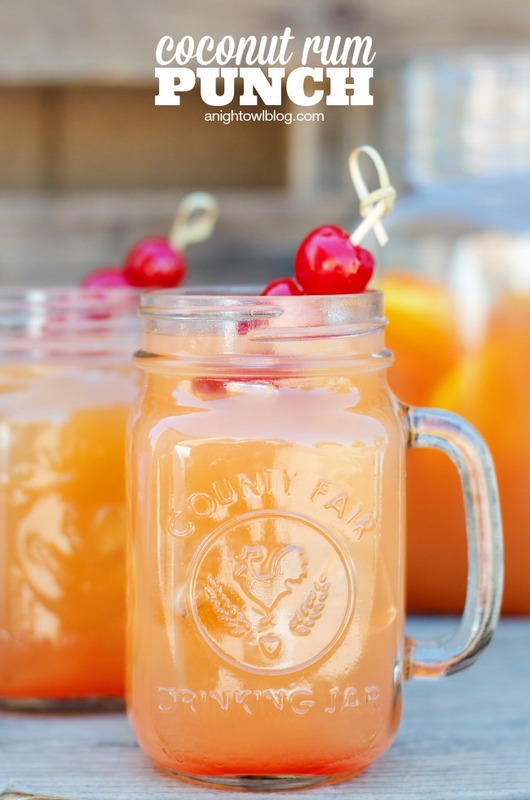 What a day to celebrate – with some delicious Coconut Rum Punch, don’t you think? 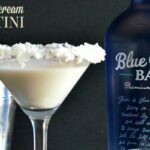 I’m a big fan of coconut rum and based on our traffic, it’s one of yours as well! 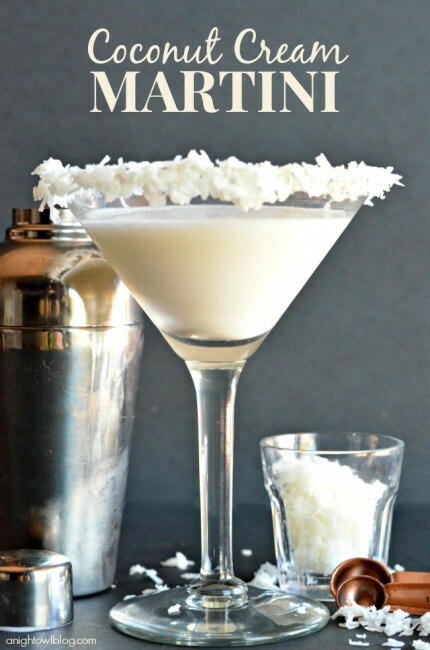 Our Coconut Cream Martini is one of our most popular recipes so we thought we’d share a sunny tropical drink you can make with the same delicious rum. How does that sound?! 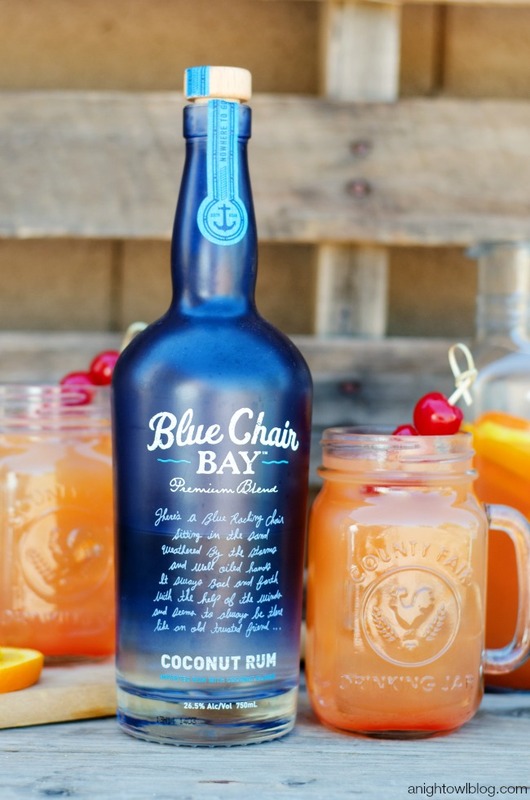 We’re big fans of Blue Chair Bay Rum – you’ve gotta track it down! It’s smooth and tasty, none of that harsh aftertaste. And it makes any of your mixed drinks that much better! 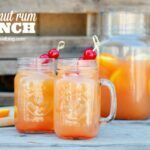 Whip up a LARGE batch of this Coconut Rum Punch for your next party or happy hour, it’s so yummy that it’s sure to be a hit! 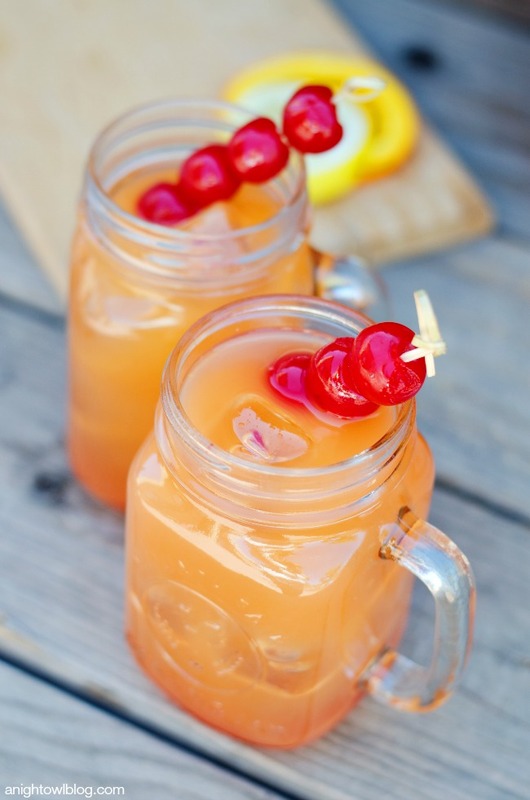 Start with quality Coconut Rum, stir in some orange juice, pineapple juice, ginger ale and grenadine and you have yourself one amazing drink! 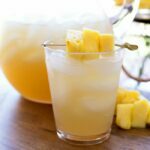 Coconut Rum Punch - a delicious combination of tropical flavors and coconut rum to make one tasty party drink! Mix Coconut Rum, orange juice, pineapple juice and ginger ale together. 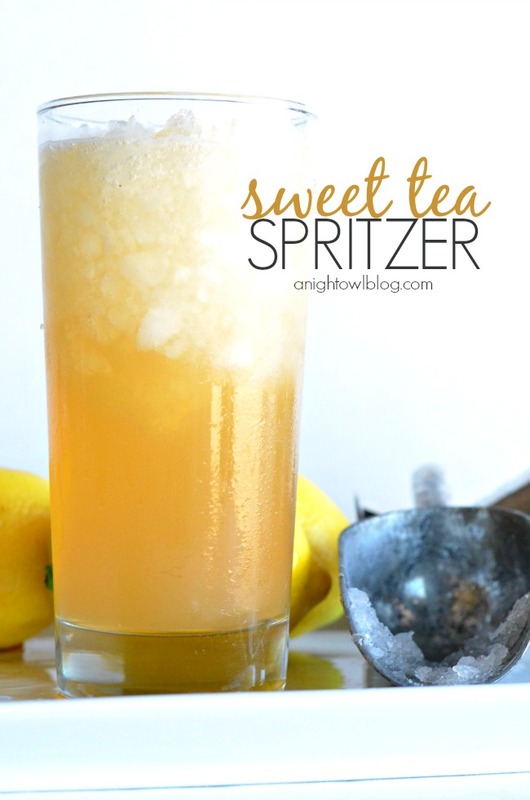 Pour over ice and add grenadine, which will sink to the bottom for a beautiful ombre hue. 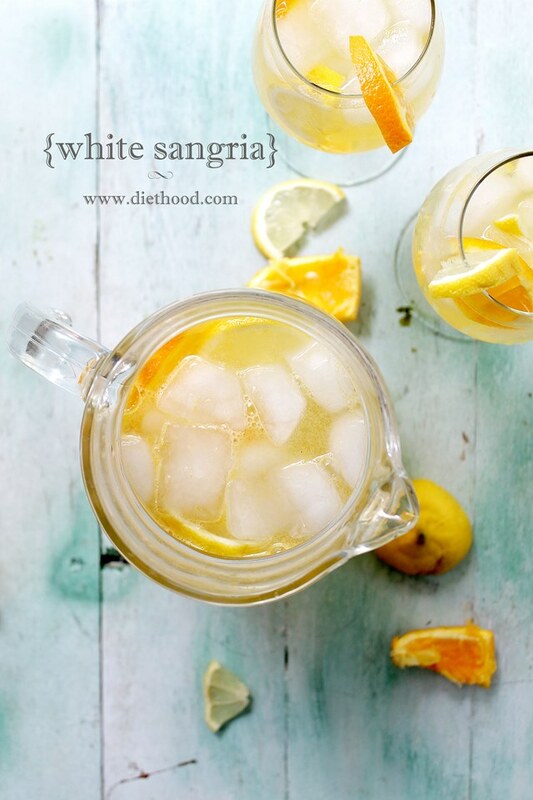 Serve with orange and lemon slices and maraschino cherries for garnish. 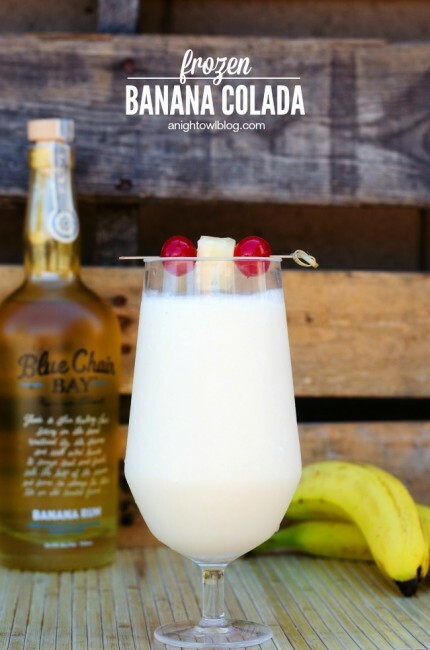 So celebrate National Rum Day with us today and grab a bottle of Blue Chair Bay Rum! 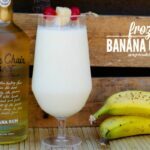 You can make our Coconut Rum Punch, our Coconut Cream Martini, our Frozen Banana Colada or any number of tasty cocktails! You can find Blue Chair Bay online and on Facebook. This looks amazing. It might be a fun weekend, after all. 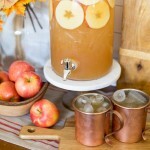 These look so delicious, they make me wish that I could drink! I tried this and really liked it! Yay for more party drinks. I didn’t have blue chair bay rum on hand (tried bevmo no luck) so i used Jamaican kuknat coconut rum and that went pretty good as well:) thanks!